What Can Our Installers Do For You? When we talk about installation and repair services, it can seem pretty open-ended. While we have a whole department dedicated to your installation and repair needs, we thought we’d take you through a few of our most common projects. Any doors or frames purchased from Midwest Door & Hardware can be delivered and installed at your jobsite. However, our installation services go far beyond that. We’re also your go-to resource for smaller projects and finishing touches. You don’t necessarily need to have a commercial project to have our team finish a job and perform an installation for you. Doors and hardware often need repaired and installed at different times based on their use and tendencies. Let’s look at a few of our most common installation requests. 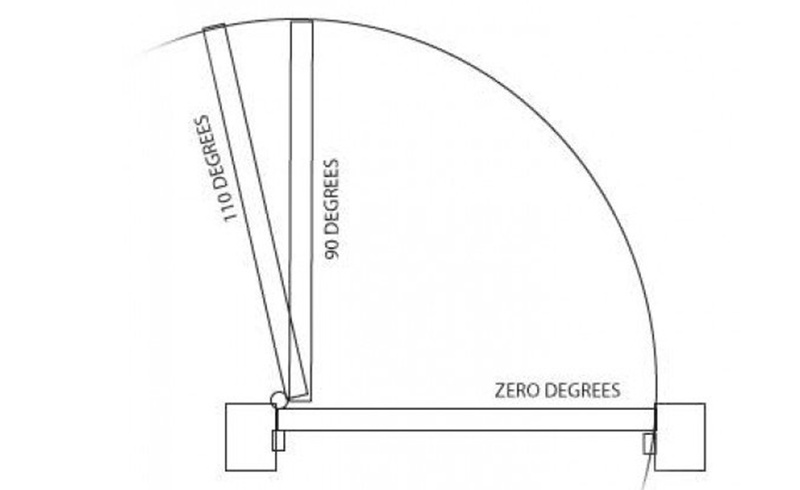 If you’re remodeling a bathroom you know there’s more to partitions than you thought. The Midwest Door & Hardware Installation and Repair Team can come out and get your partitions installed in a breeze! We’re happy to help you order your partitions as well. If you’ve already received them, simply give us a call and we’ll get them installed right away. Installing bathroom partitions is a two-man job. 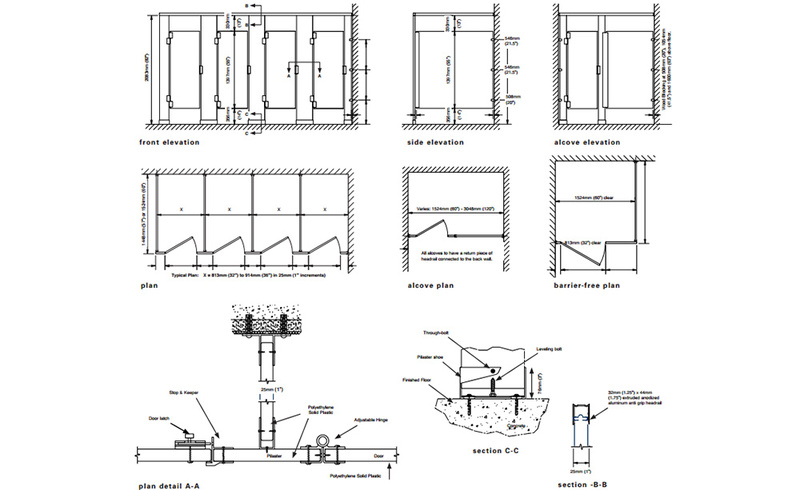 Privacy and security is a significant concern with bathroom partitions – we pay special attention to the installation so you don’t have to worry about having a huge gap in your doors. Our team has had plenty of practice getting the spacing details figured out. Buying door closers is the easy part, but installing them can be tricky. At Midwest Door & Hardware, we can help you find the perfect closers and get them installed quickly and easily. If you already have closers ordered, we can look at the specs and get right to work. Is there an adjacent wall or other obstruction? Does the door need to clear the opening to comply with the minimum 32-inches required by the ADA (American Disabilities Act) or for some other reason? You won’t have to worry about codes or requirements when you call us to come install your closures! Panic devices are required in buildings that have a higher number of occupants and safety requirements. We go into more details about safety devices here. The most overlooked aspect of this job is the actual install of the devices. There are codes and bylaws that should be met and we’ve nearly got them all memorized. Our team will be able to look at your plans and understand what should and shouldn’t be included on your panic devices. We’ll make sure your building is safe and secure! Whenever you’re working with glass, it’s best to leave that to the pros. Whether you need to order the kits or have them waiting to be installed, we can help out. At Midwest Door & Hardware, we’ve got the tools needed to work with glass, plus our team knows the tricks of the trade. Heck, they’ll even make sure to clean your windows before they leave! When you’re installing glass kits, there are a lot of little issues that could be missed if you haven’t done so before. We’ll make sure everything is properly sealed and soundly secured before your doors go in. 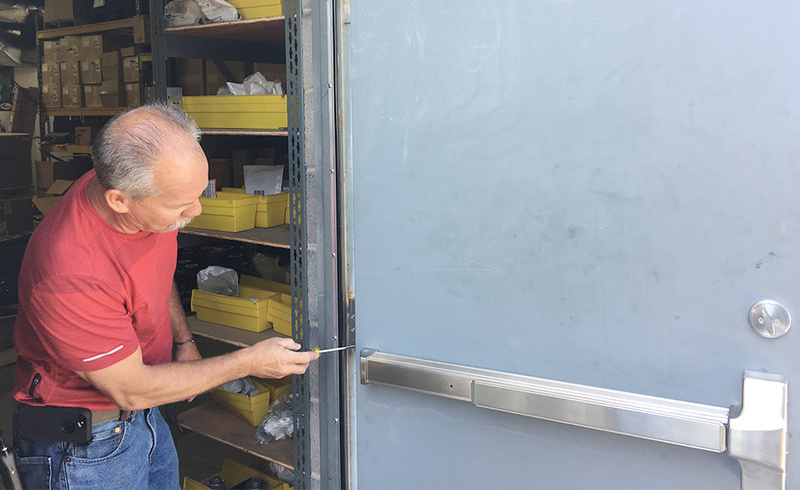 Midwest Door & Hardware does have a full line of products for purchase, but that’s not the only way to get our installation team to your building. If you don’t need a new product yet and are certain your problem can be fixed with a repair, that’s what we’re here for. Before you worry about spending money on a replacement, give us a call to come check it out! We’ll look at your doors and hardware and give an assessment of the products so that you know exactly what you need to do. Have you noticed your doors catching on the ground or getting stuck in a certain position? Your door hinges probably need adjusting. Screws magically work themselves loose over the years. If your door rubs near the top or drags on the floor, that’s a sign that they’ve come loose. 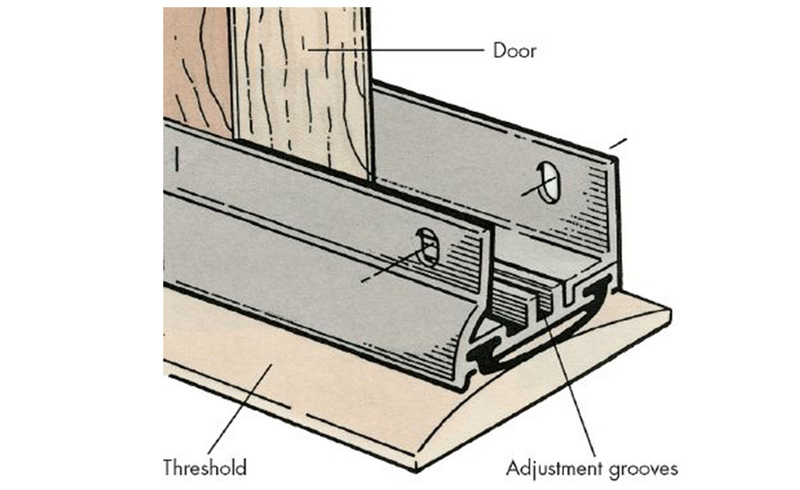 This fix takes place by tightening or loosening certain screws in the hinges on your door frame. Depending on the need, tightening to move a door up or loosening to let it drag, we can get your door fixed in no time. If your door is pretty bent out of shape, we may even throw a shim behind the hinge to help keep things going smooth. Have you ever found yourself locked out of the building because the key got stuck in the lock? Depending on whether the key is just stuck in the wrong spot or the lock itself is completely worn down, we’ll be out in no time to get you fixed up. Since we fabricate frames in our Lincoln, Nebraska Fabrication Center, we’ve got replacement frames and parts on hand nearly all the time. Frames can be a tricky thing to replace but maintaining them is a good pacifier until the time comes for a full remodel. Having parts and welding services right here in Lincoln makes for a quick and easy process for our customers. A key factor in keeping doors “healthy” is appropriately sealing and protecting them. Weather stripping and installing or repairing sweeps is one of those necessary evils that you should do to your doors. You probably don’t have the time to go around and prep each door appropriately for each season. No problem – that is a smooth and painless project for us. 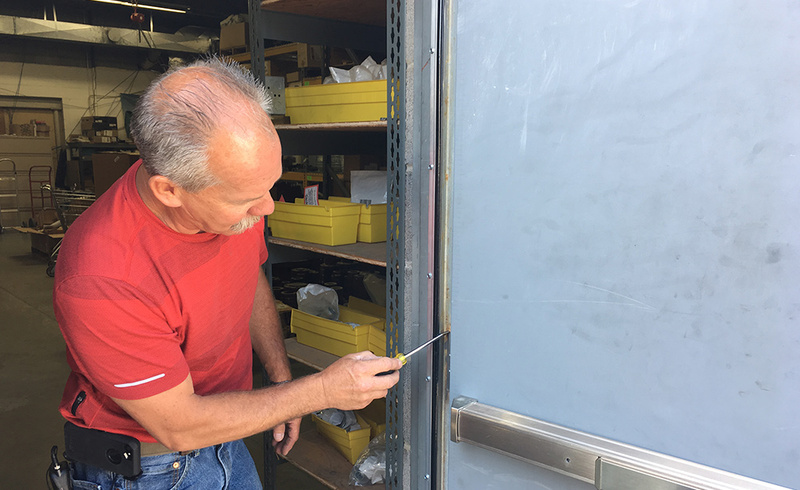 Our installation and repair team can swing out to your office or building and have your doors ready for the summer heat or winter snow in no time at all. Next time you run into a problem with any of your doors, hardware or closures, give us a call and we can help! If you have more installation or repair questions call us at (402) 464-6348. Already have a project in mind? Submit a project inquiry here!